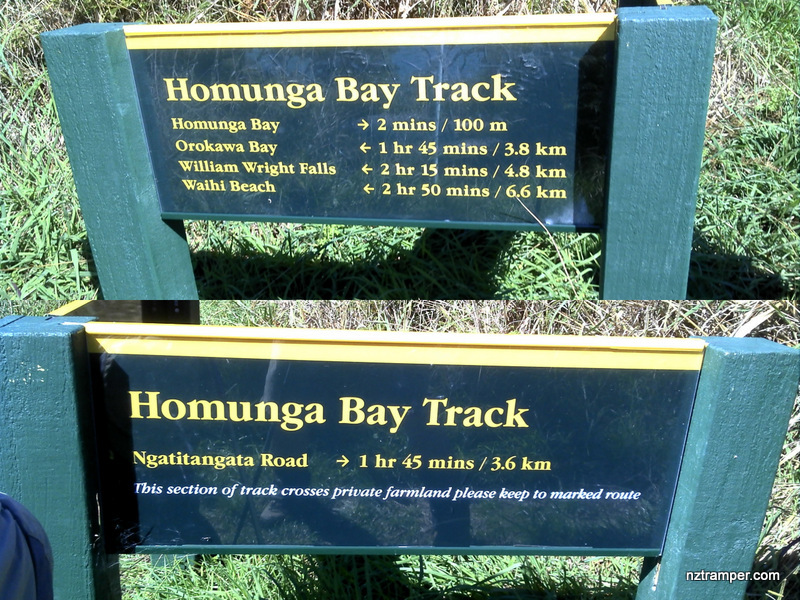 Trails: End of Ngatitangata Rd car park – Homunga Bay Track on farmland (private land, keep on marked track) – Homunga Bay – Homunga Bay Track on coast – Boat Bay – William Wright Falls junction – Orokawa Bay – Orokawa Bay Track (easy walkway) – Waihi Beach Viewing Point – retrace back the same way to car park. 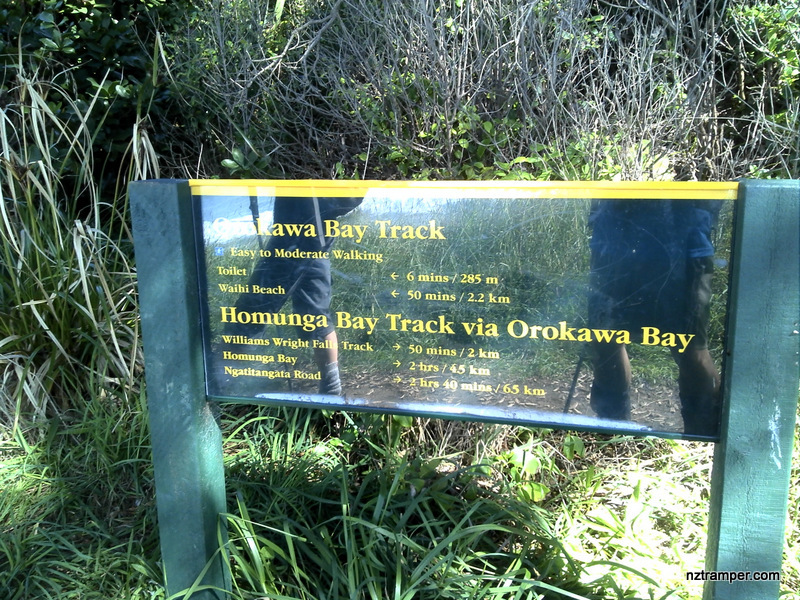 Caution: Walking Homunga Bay Track during wet weather is not recommended, may dangerous. Car Park: Yes. End of Ngatitangata Rd, 2 hours drive from Auckland city centre. Weather: Check Tauranga Weather before you go. For better map display, click the buttons (Full Screen, Hide/Show Photos and Back to Center) in the top right corner of the map to study the tracks we took or any other tracks. 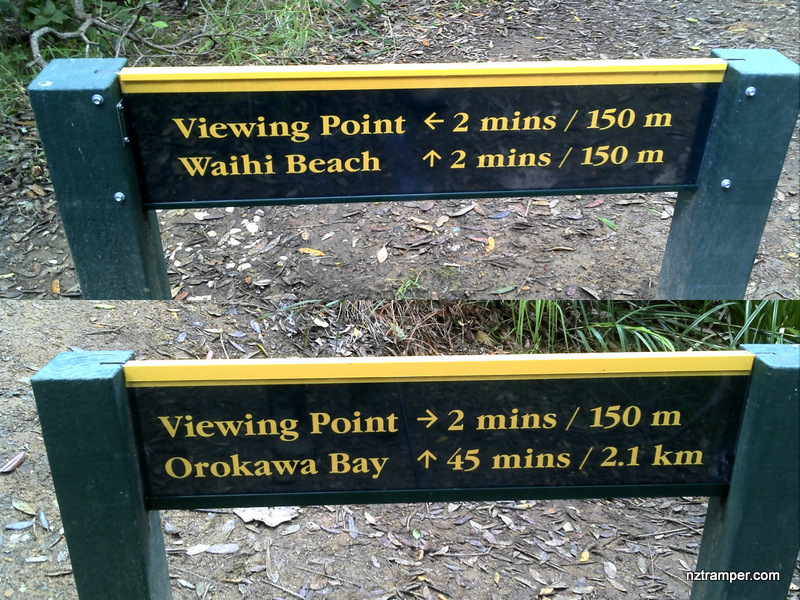 For more information about Waihi. The “Total Time” is my time in April which includes morning tea and lunch time. 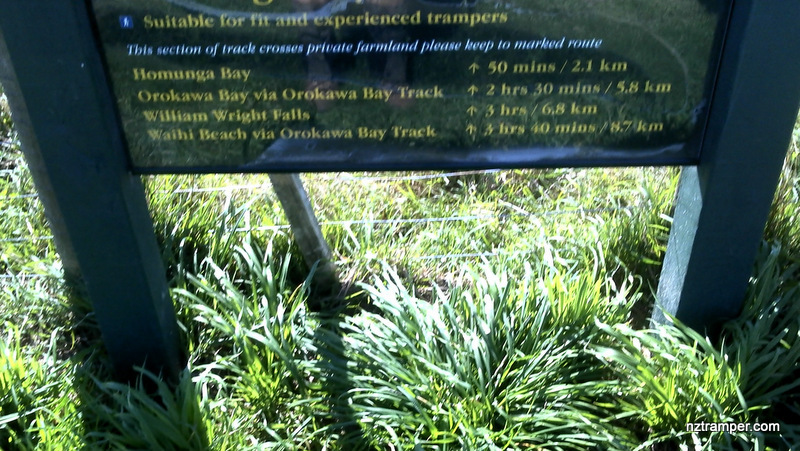 That day was fine and the tracks were good. 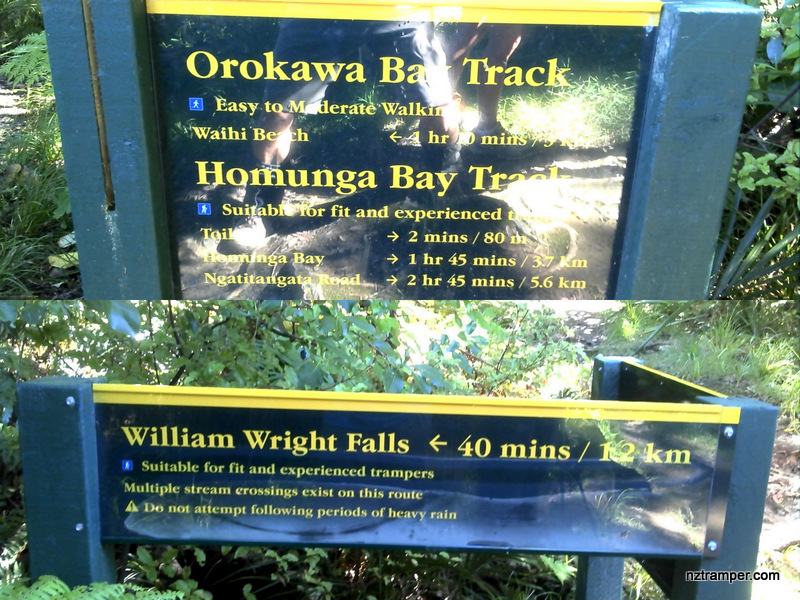 (Unfortunately the Falls track was closed that day). If you slow down to average 3 km/h plus 60 min stop then the total time will be around 6:30 hrs. Will be longer if you visit the falls.